On Saturday night (March 03), Margot attended the Charles Finch And Chanel Pre-Oscar Awards Dinner held at the Madeo Restaurant in Beverly Hills. She looked beautiful wearing a Chanel Fall 2017 Couture dress with Vince Camuto Imagine Roree sandals in black satin lux. Several photos from the dinner (arrivals + inside) have now been added to the gallery! Keep our twitter @MargotRobbieCom checked during the upcoming weekend in case of more additions! On Saturday (March 03) afternoon, Margot attended the 2018 Film Independent Spirit Awards – where se was nominated for Best Female Lead, won by Frances McDormand for her role in Three Billboards outside Ebbing, Missouri. She also presented the award for Best Supporting Male, together with Call Me By Your Name‘s Timothée Chalamet (won by Sam Rockwell for Three Billboards outside Ebbing, Missouri). She was wearing a Louis Vuitton leopard sequin dress, Prada heels, The Row bag and Tiffany jewelry. Not much fan of this outfit to be honest! More of 500 photos from the event (arrivals and ceremony) have now been added to the gallery, be sure to check them out! 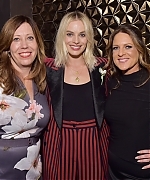 Last night (March 2), Margot attended the Women In Film Pre-Oscar Cocktail Party in Beverly Hills. She looked stunning wearing a Dolce & Gabbana Spring 2018 red + black striped suit! Several HQ photos from the event have now been added to the gallery! 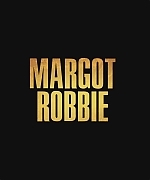 Be sure to follow @margotrobbiecom for more additions! Margot is featured in the March issue of the German magazine Zeit – Issue 10. Digital scans from the issue together with outtakes from the photoshoot have now been added to the gallery, be sure to check them out! BBC RADIO 1 – CONTAINS SOME STRONG LANGUAGE. 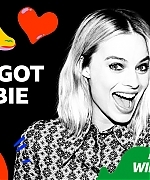 What raises Margot Robbie’s heart rate? 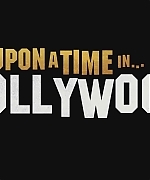 Nick Grimshaw finds out what pushes her buttons with the help of Cara Delevingne, Alexander Skarsgård, Sam Clark, Bullet For My Valentine and Corey Taylor from Slipknot. Also check in the gallery some photos taken while recording the game! Enjoy! Last night (February 18), Margot attended the 2018 EE British Academy Film Awards, held at the Royal Albert Hall in London. She was nominated for Best Leading Actress for her I, Tonya role. Margot looked stunning in a Givenchy Spring 2018 Collection gown, black like every other guests who wore it in support of the Time’s Up movement. Several photos from the red carpet, show, backstage and Gala Dinner have now been added to the gallery. In case of more additions be sure to keep our twitter checked @MargotRobbieCom! Yesterday (February 17) Margot attended the EE British Academy Film Awards Nominees Party held at Kensington Palace in London. She was wearing a Chanel Spring 2018 collection dress with Gianvito Rossi Portfino 105 gold sandals (thanks to DressLikeMargot for the infos!). Not a fan of this outfit, but Margot is always beautiful no matter what she’s wearing! Several photos from the event have now been added to the gallery, with more to come together with the EE British Academy Film Awards, which happened tonight at the Royal Albert Hall. Check the site and twitter @MargotRobbieCom later and tomorrow for additional updates!